At Network Solutions of Wisconsin we believe that referrals are the greatest form of flattery. If you know someone who is worried about any aspect of their business technology, do them a favor and put them in touch with us. By recommending partners, associates, or professional contacts, you can help them enjoy worry-free IT and reap some rewards for yourself. 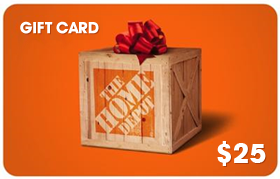 For each successful referral client who signs up with us we will give you a $25 Gift Card to Home Depot.